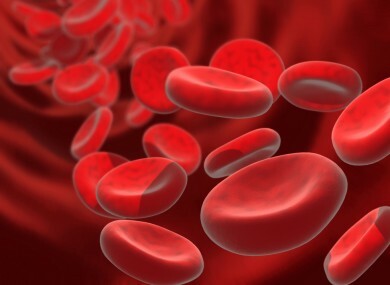 RED BLOOD CELLS grown from stem cells could be trialled in humans within the next three years. If successful, this would offer an alternative to using donated blood for transfusions. This method carries a number of risks, such as infection or rejection by the receiver’s body. A team of researchers from across Ireland and the United Kingdom, led by the Scottish National Blood Transfusion Service, will now receive over €6 million in funding to carry out this next phase of the project, having successful grown red blood cells from stem cells. The Irish Blood Transfusion Service also took part in the research. If we can achieve success with this first-in-man clinical study it will be an important step forward to enable populations all over the world to benefit from blood transfusions. It will also benefit other researchers working on similar cellular therapies. The funding was awarded to the researchers yesterday by the Wellcome Trust. Email “Red blood cells grown in a lab to be trialled in humans”. Feedback on “Red blood cells grown in a lab to be trialled in humans”.